● Free shipping is offered on orders of $25 or more, every day. ● Every Sunday, Walgreens’s Weekly Deals are updated. These include considerable discounts, usually one or two BOGO deals, and rewards points promos. Check regularly for new offers. 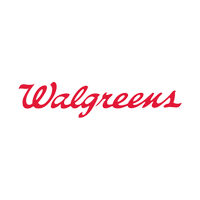 ● Walgreens.com provides printable coupons for in-store visits. Don’t forget to browse the Sale and Clearance sections as well. Walgreens is a drug store where you can pick up prescriptions and find other healthcare materials. They also have general home décor items and carry seasonal products for special holidays such as Halloween and Christmas. On their website you will be able to review their extensive collection of products but you will also be able to view their flyers to see if there are any sales in-store. Frequent Walgreens customers should sign up for the rewards program so they can take advantage of discounts on regular items and the ability to collect points to help you save on future purchases. For most up to date offers check out Walgreens on Facebook and Twitter or contact Walgreens Support for any questions.